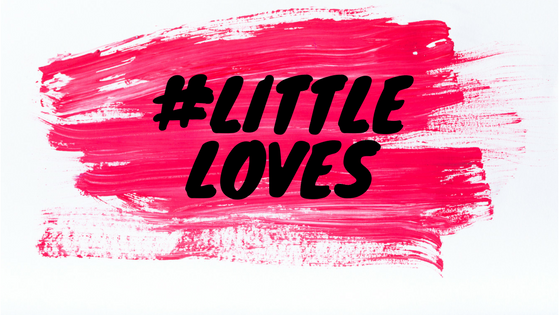 I had a week off from Little Loves last week, just because it was the Easter holidays and I was just far to busy enjoying my girls and I didn’t really have anything to share. It was back to normal on Monday for us though and of course with the school holidays over, that meant the sun decided to finally arrive. Not that I’m complaining, but it could have come a week or 2 earlier. It has felt so nice going out with no coat on and the boots are being put away until next winter. It’s been a fairly normal week for us, just getting back into the swing of things after the holidays. I finished reading Friend Request. Oh my goodness it was so good, I couldn’t stop reading it and it had be gripped. I love books like this, where you are desperate to get to the end because you want to know, but you also don’t want to finish the book because it’s so good. Andy and I watched the last episode of the Agatha Christie programme, Ordeal by Innocence. The first two episodes were brilliant and kept us wanting more. But we were both let down by the ending and it went a bit flat at the end. Which was very disappointing as we loved the first 2 episodes so much. Peace and quiet. On Tuesday and Thursday with Alice at school and Holly at preschool, I had a few hours to myself and there wasn’t a sound. After 18 days of having the girls home I really needed it. No coats and my new t-shirts have been worn this week. It was really warm yesterday and I even made it out into the garden. With the blue skies and not a cloud in sight it was very much needed. I even wore my sunglasses as it was really bright and sunny. I hope it sticks around. It looks like it’s going to be a nice weekend and we are hoping to head to Legoland over the weekend. Whatever we do, it will be outside enjoying the sunny weather. I hope you have a wonderful weekend too. I love posts like this that take a not of all the wonderful, little things in life. I’ve not come across Friend Request before, but it sounds interesting. I will have to have a look for it when I get back to the UK. 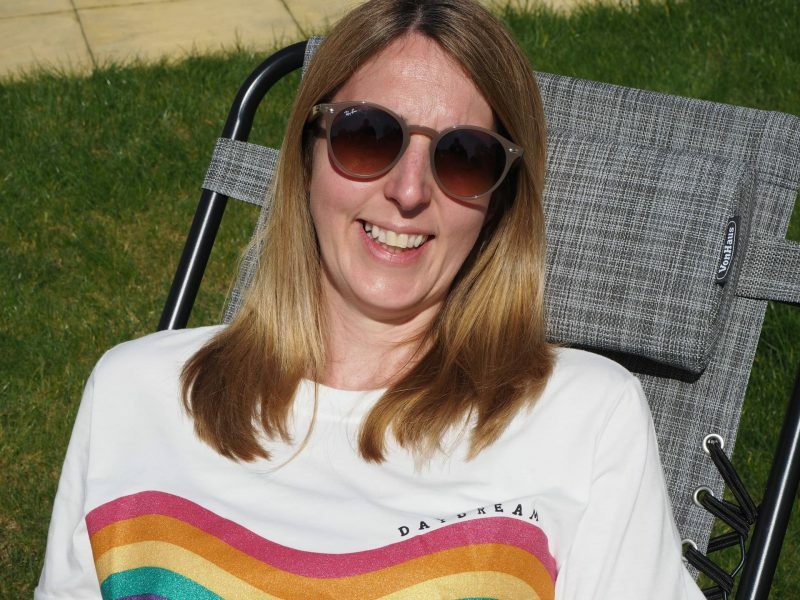 Fabulous to see you earlier in the week, I do love that rainbow t shirt! Thanks for the book recommendation, I’ll have to get hold of Friend Request.